Top chefs and great friends Paul Rankin and Nick Nairn return to UTV tonight (Monday 16 April) at 8pm with a new eight-part series. Paul and Nick’s Big Food Trip New Zealand sees the dynamic duo embarking on a foodie road trip following the trail of the Ulster Scots who travelled and settled in New Zealand. The series received funding support from Northern Ireland Screen’s Ulster-Scots Broadcast Fund. 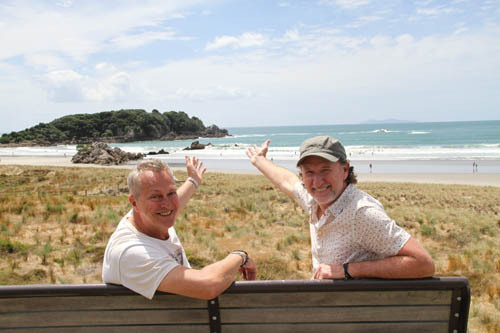 Paul and Nick’s Big New Zealand Food Trip is produced by Waddell Media.